The common man can now view sharper pictures of any part of the world on their personal computer using satellite images with ISRO today unveiling 'Bhuvan', its version of Google Earth. Minister of State in the PMO Prithviraj Chavan launched the beta version of the geoportal www.bhuvan.nrsc.gov.in at a day-long workshop of the Astronautical Society of India on "21st Century Challenges in Space -- Indian Context." The new web-based tool allows users to have a closer look at any part of the subcontinent barring sensitive locations such as military and nuclear installations. 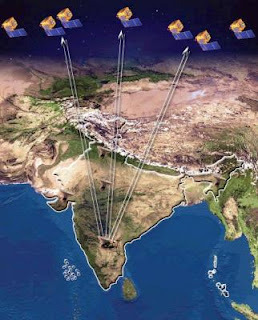 The degree of resolution showcased is based on points of interest and popularity, but most of the Indian terrain is covered upto at least six meters of resolution with the least spatial resolution being 55 meters, an ISRO official said.